Last month, I blogged about how to get your story in the Spotlight, using traditional public relations and social media. As a leader you likely have a pretty cool story to tell, but when was the last time you were featured in the news? My clients have amazing stories to tell, and valuable educational material to share. Positioning yourself as a thought leader or the go-to provider for a product or service may be easier than you think. This blog post, http://www.moreinstore.ca/marketing-moxie-blog/bid/185195/Your-Story-in-the-Spotlight, made a strong case for generating free publicity. After all, media coverage is valued at 3 to 5 times the costs for traditional television advertisements. It occurred to me that many entrepreneurs are held back on generating publicity because they aren’t comfortable being in the spotlight. Sure they’d like the exposure, they just don’t want to be the ones on camera. Some are born to shine in the spotlight while others arrive after a lot of blood, sweat and tears. If you’re one of the latter (and most of us are) your stomach likely does back-flips at the mere thought of a media interview. But with the proper coaching, preparation and practice, it doesn’t have to be that way. If uncertainty in working with the media has held you back from sharing your story, resolve in 2014 to equip yourself to generate the publicity you deserve and to prepare yourself to be your company’s ultimate spokesperson. I have put together a Top 10 Tips to Be a Better Spokesperson. It will give you the tips you need be a confident spokesperson and maybe even enjoy a media interview. The tips extend beyond the interview itself. I’ll show you how to set up a media interview that gives you time to prepare, as well as give you the questions you need to ask the reporter to make sure your key message is delivered! 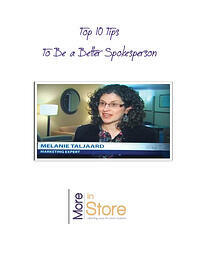 Ready to realize your publicity goals for 2014, download the Top 10 Tips to Be a Better Spokesperson now! Video killed the radio song? Well not really. And just like the radio song, PR is alive and well. But I do sometimes get asked where public relations all fits in with so many new technologies changing the communications and marketing landscape. I feel equipped to answer this question because over the years, my own passion between PR and Marketing and has been a bit like a teeter totter. My under grad degree is in public relations, but for more than a dozen years I worked in corporate marketing and advertising and completed my MBA in Marketing at the same time. Now as an independent marketing consultant, I get to draw on both skill sets. And I often get to choose the type of projects (marketing or PR) that I work on. More and more, I find myself drawn to the media relations or publicity work. I find the publicity work incredibly exciting and rewarding. Maybe it’s because after 15 years of working in this market I have established relationships with local journalists and media outlets. Perhaps the reason I find myself doing more and more PR work is because of the type of clients I work with. They have amazing stories to tell. I tend to work with trail blazing entrepreneurs who are the leaders in their sectors. They are doing things differently—creating media worthy stories on a regular basis. 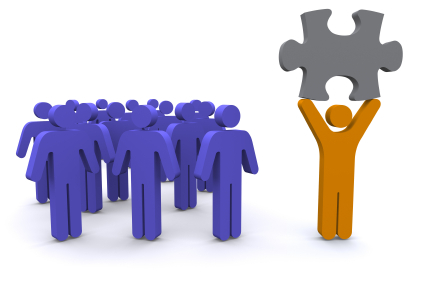 Generating publicity is hugely rewarding because it is easy to track the effectiveness of your PR efforts. Seeing your business story in print or on the evening news is a rewarding and tangible outcome, not to mention highly valued exposure. Publicity is considered to be valued 3-5 times the ad rate of the media outlet. So a three minute news story would be valued at $36,000 - $60,000 if the 30 sec commercial rate is $2000. So does that flip the teeter totter in favour of public relations? Well yes and no. The evolution of social media and online marketing in general has made the web such an exciting place to share messages with target audiences. Correctly built websites allow two way communication between corporations and their target audience (something unheard of a decade ago). The news piece realized from publicity efforts becomes an excellent communication piece to circulate in social media – post the news story, tweet the pictures etc. While PR is not dead, it’s changing--it’s evolving. There are many ways to incorporate social media into a public relations strategy to connect with audiences and journalists alike. At the end of the day, the media isn’t the target – your customer, prospects, or stakeholders are the target. The media used to be the conduit to get to your audience, but increasingly social media present opportunities to reach your audience directly without the intermediary of the media. The publicity generated in the mass media can drive customers (and prospects who may never have heard of you before) to your website or to your social platforms. They may hear your message initially through the eyes of the media, but you have the opportunity to tell the story directly to your audience without any intermediaries through the use of online marketing.